Stay on Trails: 5 new tips for OHV hunters in Idaho ... online maps, videos and more ... Have a great hunt! 5 new tips for OHV hunters in Idaho ... online maps, videos and more ... Have a great hunt! The Idaho OHV Public Outreach Campaign has created a new web page for hunters who use off-highway vehicles to reach their camps and hunting areas. We wanted to share our 5 tips for a safe and legal hunting experience in Idaho. According to the latest survey, more than 70 percent of the 240,000 people who hunt big game in the state of Idaho (residents and nonresidents) use OHVs as part of their hunt. or BLM travel plan map. You also have to check the Idaho Department of Fish and Game hunting regulations. Our tips are meant to help demystify that admittedly challenging process. At least more of these resources are online than ever before. 2. Stay on designated trails. Cross-country riding is illegal on most Forest Service and BLM lands, and it is destructive to the environment. Responsible riders know that. 3. Use your trail machine to scout for game and access your hunting camp, but it's illegal to shoot big game animals from your OHV. (Hunters with a disabled permit are exempt from this rule). 4. Utility Terrain Vehicles wider than 50 inches are not allowed on ATV trails or singletrack trails. 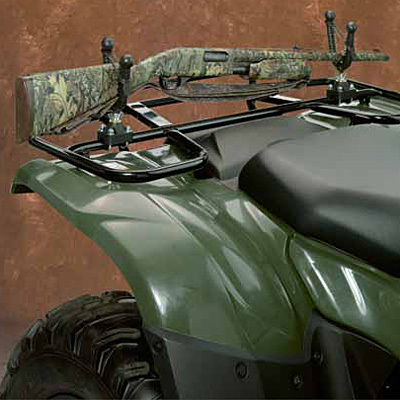 UTVs wider than 50 inches should travel on dirt roads and/or two-track roads that are open during hunting season. 5. Park your OHV if you need to leave a trail or road to retrieve a big game animal. We hope you have a safe and productive hunt! Please feel free to share this information with your hunting buddies. And if you have feedback on our tips, please let us know!